Drivers on I-610 South near NRG stadium on Saturday morning. 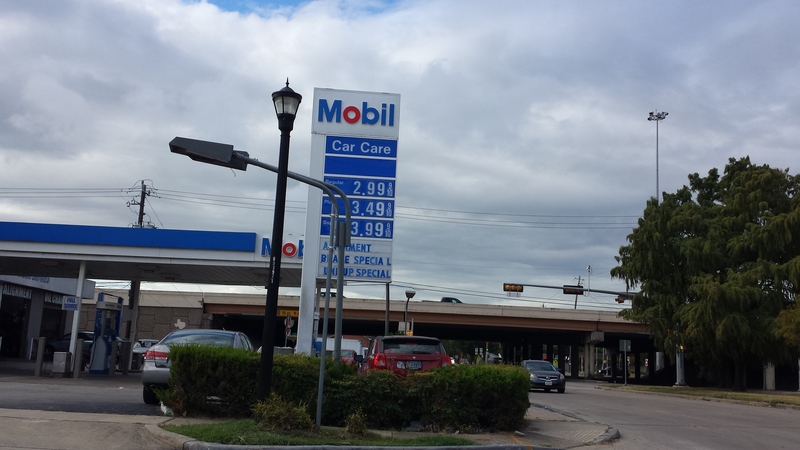 Regular gas ranged from $2.45 to $2.99/gallon this Labor Dayweekend at gas stations near I-610 South and Stella Link in southwest Houston. 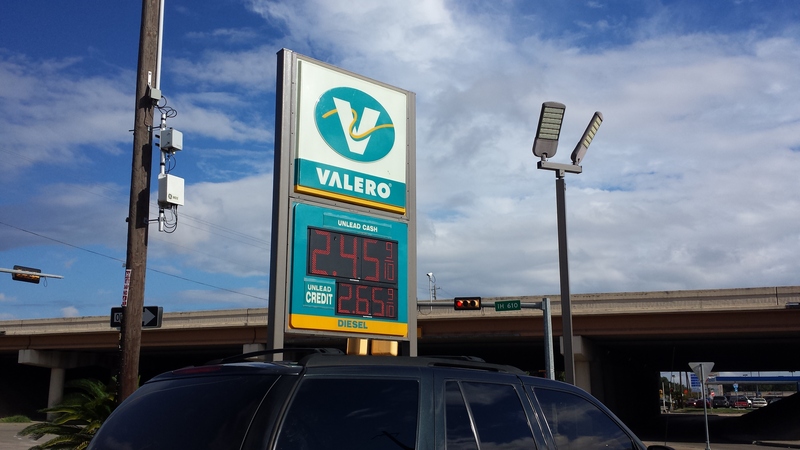 AAA says the national gas price average held steady at $2.84/gallon for regular gas. The unofficial end of summer is upon us. Triple A estimates some 38 million Americans will travel this last holiday of the summer and reports motorists will face high gas prices, the Tampa Bay Times reports. AAA stopped forecasting Labor Day travel in 2016 and the above estimate is based on past forecasts. Fewer Americans hit the road this holiday weekend compared to Memorial Day and July 4th weekends. The Texas Department of Transportation is urging Labor Day weekend drivers not to drink alcohol and drive. Tx DOT says DWI or driving while texting could cost $17,000 in fines, jail time and losing drivers licenses. If you need to get home safely, contact http://www.soberrides.org. This entry was posted in Asian Community Houston, Harris County News, Recreation, Texas Tourism, Travel and Recreation and tagged Labor Day Weekend 2018. Bookmark the permalink.